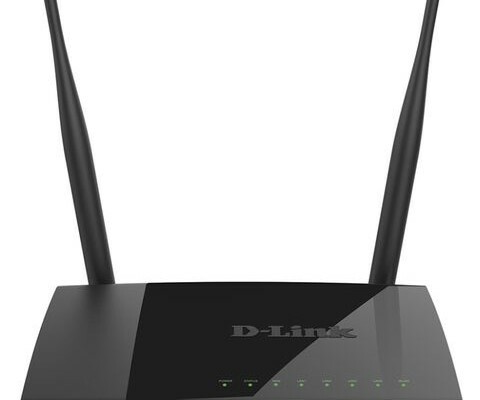 D-Link is seriously undertook development of the 802.11ac standard and is now in its catalog a dozen models of wireless equipment with its support. In this article we look at the router D-Link DIR-825 / AC, equipped with Gigabit Ethernet ports, two external antennas and port USB. This device allows the speed of the wireless clients 300 Mbit / s in the 2.4 GHz band for 802.11n standard, and 867 Mbit / s in the 5 GHz standard 802.11ac. Using Gigabit ports provides a fast LAN, demanded when using network storage, and other demanding devices. A USB port is designed to work with hard drives, printers and cellular modems. Note that the manufacturer had previously issued with a digital model of the index “825” substantially different in appearance and characteristics from consideration in this material D-Link DIR-825 / AC version E1. The device comes in a familiar medium sized cardboard box. On it you can see photos of the router, the main features and specifications of the model. Packaging is also quite traditional: a router, switch mode power supply 12 V 1.5 A network patch cable, warranty card and instructions for minimum work. 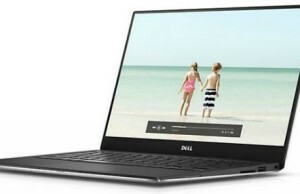 In the support area on the manufacturer’s website at the time of preparation of the material it was presented only a brief description of the document, and factory firmware. The warranty on the router is one year. In appearance the device is not very different from many of the middle segment. Its body is made of black plastic. To attract attention to the manufacturer’s designers used a combination of glossy and matte surfaces on the top panel. As usual, it can be, and looks good in the shop window, but from a practical point of view is not very convenient. Dimensions without cables and antennas is 174 × 124 × 33 mm. At the bottom there are four rubber feet for mounting on the table and two holes for fixing on the wall. In the second case it is possible to select any option orientation of the housing. At the edge of the glossy top panel is a block of eight indicators. Some of them are two-tone. The brightness of the LEDs is low and the openings are small fibers, so they will not irritate. Signatures are relatively small, but thanks to the colors and arrangement if desired, can be read from a distance readings. In the center of a glossy portion is the manufacturer’s logo. The side and bottom ends are passive ventilation grille. Problems with overheating during testing were noted. Note the presence of a standard label with device identifiers and information on the connection. On the sloping front end is rather large button WPS. True to its use is required to hold the device other hand. On the back we find two non-removable antenna, Gigabit wired ports (four LAN and one WAN), without indicators, one port USB 2.0, hidden reset button, the input power supply to the switch.Very large drives can block access to the port of the fourth wire, but overall the place is enough. Nothing much of a body is not, but it is easy to connect and use. If not gloss could consider it almost ideal for this class of models. Recall again that the index “825” from this manufacturer There are several models, but in this article we are talking about modifications D-Link DIR-825 / AC audit E1. Like other recently discussed solutions D-Link, the hero of the article uses the platform Realtek. The main processor performs RTL8197DN chip with a frequency of 660 MHz operation. He closed a small radiator. It implements PCIe bus for external Wi-Fi chips and a controller USB. The RAM of the router is 64 MB, and the firmware is stored in flash memory chip is 8 MB. For work gigabit wired network switch port responds RTL8367RB. The radio in the 2.4 GHz band with support for 802.11b / g / n and a maximum connection speed of 300 Mbit / s is implemented on a chip RTL8192ER. For operation in the 5 GHz band with 802.11a / n / ac present chip RTL8812AR, supporting speeds of up to 867 Mbit / s. Of special mention is the presence of on-board space for the console terminal. 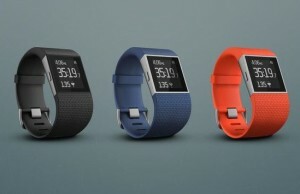 The device was tested with firmware version 2.5.23. It should be noted that the software for this and other provided in the domestic market of wireless router models developed in the local R & D center with the manufacturer’s specific implementation of our service providers, and in close cooperation with them. The router has a new version of the web interface design, which we have recently met in the testing device of the manufacturer. It has several options for localization. A built-in search engine settings, remote access, with a choice of port numbers to support https, IPv6 addresses and filter customers. In the event of malfunction in the Internet channel and some other situations, the customer can be automatically redirected to the home page of the router to assist in correcting the problem. To simplify initial configuration has several assistants – to install the wireless network, broadcast or ports connect set-top boxes. Special Page “Monitoring” shows a flow chart of your network and allows you to go to the corresponding filter settings, firewall, and other parameters. To work with the internet, you can use a wired connection, a cellular modem or Wi-Fi. The first version supports IPoE, PPPoE, PPTP, L2TP, have the ability to work with the network operator in the VPN-connections, change of MAC-addresses, adjusting MTU, use 802.1X. Provides DDNS client with support for two services – the original DynDNS and corporate variants D-Link. For users of IPTV services will be useful for the opportunity to work with translations and implementation of multicast VLAN. In this version of the firmware can be seen the implementation of IPsec client to join networks. It is a pity that there is no documentation on it. In all the traditional local area network – you can change the router’s own address, specify the parameters of the DHCP server to clients and reserve fixed addresses, add your own entries to the routing table. The firmware contains ALG protocols SIP, RTSP, and PPPoE. Note the presence of protocol support IPv6, including routing configuration, DHCP, PPPoE client and a packet filter. The router is equipped with two independent wireless access points, most of the settings are duplicated. The basic set includes the selection of the network name, region, number and width of the channel (5 GHz supported channels 36 to 64), the regime of protection (including WPA / WPA2 password and server RADIUS). Additionally, you can limit the number of connected clients, create a black or white list of their MAC-addresses, limit the power of transmitters, including short guard interval, prohibit the broadcast multicast flows, including WPS. To access from the Internet to the local network services have a standard set of features – DMZ, UPnP and manual port translation rules. Note the presence of a lookup table to test the UPnP and work with groups of addresses in the rules. From Restriction is a filter MAC-addresses of clients, allows to block the work with the router and access the Internet, filter and URL-address programming packet filters IP-based addresses and port numbers. With the proliferation of mobile devices, filtering DNS-requests to the router is one of the simplest and most convenient ways to enhance the level of protection in the home network. In this device, there is a choice for each of the clients of one of the modes – standard, children or without protection. A similar setup has to set the level for all other devices by default. To control the operation of the device has pages of network interface statistics, lists of DHCP clients and wireless access points, routing tables, and multicast groups. In the System Settings page are presented for changing the administrator password with the configuration, reboot, upgrade firmware (from a file or via the Internet), set the system time.Also, there are two diagnostic tools, including access to telnet. System events can be stored in a local log and sent to the server Syslog. Provides choice of the level recorded data but use the magazine is still not very comfortable. Supported file systems include NTFS, FAT32 and EXT2 / 3. Disks thus might have multiple partitions. Through the web interface, you can view the status of the file structure and the connected drives, but no operations on the data here. The Safely Remove Hardware is made through the relevant paragraphs of the interface. According to the network access is provided using the SMB protocol and FTP. For the first it is possible to change the network name, workgroup and description of the server, as well as the inclusion of the input mode without an account. At the same time on a single page, you can program the users and their passwords, and to give them the right – read only or full access. This applies immediately to all connected volumes as the network device provides a common folder named «usb» inside of which will be relevant volumes directory. The same user accounts used for FTP. By default, only works on the local network segment, but can enable access from the Internet and broadcast port rule. It does not have anonymous access option, but allows you to change the main port, supports passive mode and UTF-8 encoding. The firmware has a built-in server DLNA, which can be useful for broadcast media to compatible TV sets. It supports a variety of database-time updates and allows you to program several directories for files with their category. Indexed many popular formats, including jpeg, mp3, wma, flac, m4a, avi, ts, mkv, mp4, mpg, wmv and others. Another popular module – Transmission program for standalone downloading files from the networks p2p. His work files, including setup, installed in the same folder that is created on one of the volumes. In the options you can select some of the parameters of the service, in particular the folder name, the port the Web management interface and the maximum number of peers. Other options can be changed later via the settings of the program. Formal restrictions on speed and the number of active tasks no. However, the audit showed that the real load when using a NTFS partition does not exceed 1 MB / s (c EXT3 – no more than 1.5 MB / s). On the one hand, it is a bit, but on the other – makes it possible to comfortably use other applications. Standard situation with printers: printing is supported only through a network port. Compatible of USB-modems can be found on the manufacturer’s website. Among them are devices with support networks of the third and fourth generation, including a dozen models with LTE operator for our market. We tested the router with Huawei E392 in the Moscow network of “Megaphone”. This device operates in QMI / CDC, enabling high results show the speed of access to the network. There is also support for the regime NDIS (for example, the Huawei E3331) and still be able to connect to their own web interface of the modem. Well, about an outdated mode of PPP (eg, modem Huawei E156G) have not forgotten, although high speeds to expect from him is not necessary. The settings have the choice of APN and PIN-code control. Upon detection of the modem connection, the router automatically adjusts through connections (including sets parameters provider) and passes to it. However, automatic selection line in this model. If necessary, switch the user has to change the setting via the web interface. Also, in some cases, it may not work count mobile traffic volume. Check the connection to the “Home Beeline” for L2TP demonstrated the ability to use the device with the operator. The rate corresponded to the tariff plan. When operating in p2p networks could receive more than 10 MB / s for loading speed. This can be quite comfortable to use, and other network applications. Broadcast IPTV multicast technology worked and the cable and connecting wirelessly. Remarks to the broadcast did not even have a high load on the Internet channel. Test the maximum capacity of the router for routing via a wired connection was conducted on our standard booth in the popular mode of internet connection. As we remember from the last article, the platform is capable of Realtek show very good results even in difficult cases. As can be seen on the test results, this model continues a good tradition. When working through IPoE and PPPoE can count on almost maximum performance – top speed is 900 Mbit / s or more.Modes PPTP and L2TP also implemented well. They router provides a rate of about 400 Mbit / s.According to these parameters the model is not inferior to popular solutions on the platform Mediatek and relatively little behind the much more expensive options at Broadcom. By the implementation of dual-mode access to the device and no comments can be seen on the second chart. Most of us considered wireless solutions supporting 802.11ac protocol was based on the chip Broadcom. However, other manufacturers now offer such products, which gives hope for expansion and price reductions. However, recalling the difficult fate of 802.11n in the initial stage of its development, can occur and some incompatibilities. Let’s see what the situation is with this in consideration of the router on the example of the adapter Asus PCE-AC86 (802.11b / g / n 2,4 GHz up to 600 Mbit / s, 802.11a / n / ac 5 GHz up to 1300 Mbit / s) . The router is tuned for maximum performance. Testing was conducted in two bands and three housing options – four meters line of sight, four meters through a non-capital wall, eight meters by two non-capital walls. Note that the possibility to check the devices in the 2.4 GHz band in urban areas is becoming increasingly difficult. In the air there are dozens of neighboring networks, and find a relatively free channels becomes impossible. In our case, this is especially true of the third point of the client installation, so that its results should be treated with caution. On the other hand, this situation is more similar to that with which our city meet readers. And pick up the router (s) to work in a private home – it’s a different story, which greatly depends not only on the device itself, but also the materials and the architecture of the room. To the range of 2.4 GHz maximum results are consistent with the configuration of the device used in the radio unit. In the first and third points, we clearly see the negative impact of the neighbors, so that the client can not fully develop their abilities when working with the router. In our situation, the transition to 5GHz 802.11ac standard, allows to significantly increase the speed of all control points. Thus we see that the fears of less coverage at a higher frequency in the range of medium-sized apartments are not met. Even in the most difficult point can receive 200 Mbit / s or more, which is 6-7 times better than when operating at 2.4 GHz. Of course, do not forget that if the air will be distributed networks in the 5 GHz band, then it will reduce the speed.This is especially true 802.11ac, which uses four channels at once, for his work. But while such networks is small, it is to seize the moment. In addition, we tested the operation of the router adapter TP-Link TL-WDN4800 (802.11a / b / g / n 2,4 and 5 GHz, 450 Mb / s) at the first point. This device is based on the chipset Qualcomm / Atheros and is one of the most productive in its class. Interestingly, it is better acted 2.4GHz than Adapter Asus. And the performance in the 5 GHz band deserves a good grade – 200 Mbit / s connection speed of 300 Mbit / s few people can get. In general, we see that Realtek chipset in the 5 GHz band is quite able to work successfully with the best representatives of the client adapters in the standards 802.11n and 802.11ac. At the same time due to the occupancy of the ether in the range of 2.4 GHz to 5 GHz transition is able to significantly improve the speed of the medium-sized rooms. Last group of tests will help us to evaluate the performance of the router in the problems of storage. We checked the file system FAT32, NTFS and EXT3 when reading and writing large files over SMB and FTP. The results are shown in the following chart. Despite the fact that the router has Gigabit Ethernet ports and an interface USB 2.0, it is clear that this scenario is not his forte. The speed of no more than 11 MB / s, which we usually found in models with ports 100 Mbit / s, so that the functionality will be limited in scope. However, for multimedia library of these speeds may be sufficient, including when dealing with high definition video with one-two customers simultaneously. 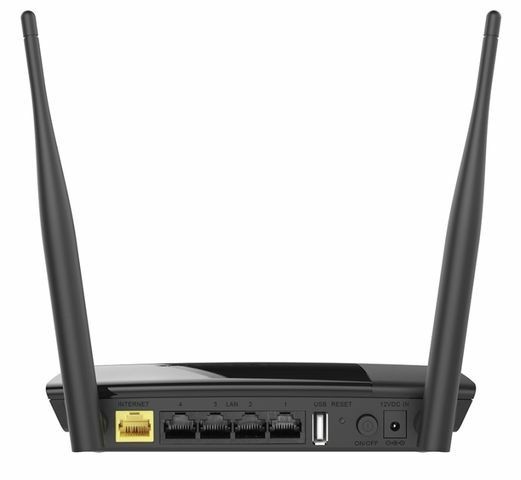 This model represents a new generation of mass routers, which includes support for standard 802.11ac. Testing has shown that in terms of speed in the routing problems D-Link DIR-825 / AC is not inferior to the devices of other manufacturers, including more expensive. I would particularly like to commend the work of the wireless access point in the 5 GHz band. While in the air such networks are relatively few, urban users can expect a substantial increase in the rate of client access when working in this range. Especially, that the implementation of 802.11ac starts to appear in mobile devices average. The router has a housing standard design to which there is only one traditional point – the use of gloss on the top cover. For stability during testing questions we had. The software provides an implementation of most of today’s home router scenarios, including work with IPTV, broadcast ports and basic security functions. Of particular interest is a built-in customer service Yandeks.DNS that clearly will be in demand for many users. The USB port allows you to use cellular modems to access the Internet. Moreover, modern models support networks of the fourth generation helps to achieve high speeds in this scenario. But the function of network storage is not pleased with its performance. 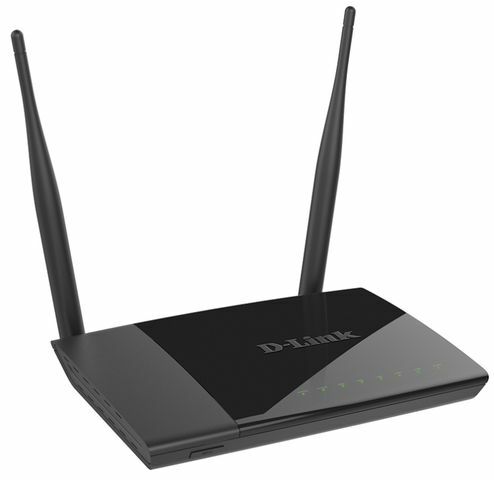 At the time of testing, D-Link DIR-825 / AC was one of the most affordable wireless routers with support for 802.11ac, Gigabit ports and USB.